Very good ukulele! I play guitar and that's my second instrument. It's very nice quality and play very well right out of the box. Was almost tuned when it came! 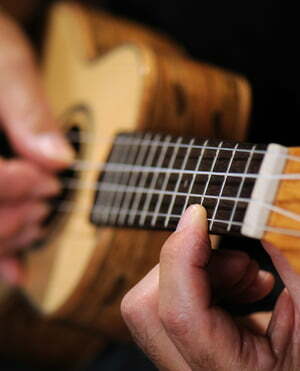 If you are looking for a good decent ukulele not the top of the line, this one is the right one for tenor ukuleles. It's not too small but still not too big. At the same time it comes with soft case but also very nice quality! Amazing instrument that you can have as travel instrument also, because it's very compact and convenient to take on a short or long trips! it holds the tuning and it has very nice soft action! I am newcomer to the ukuleles and decided on the tenor (size), because my fingers have a bit more size and the space on the neck of the concert (size) was too tight for me. In the sound, I could hardly tell a difference among the three (soprano, concerto and tenor). ID: 417547 © 1996–2019 Thomann GmbH Thomann loves you, because you rock!